The Incheon Metropolitan City said Friday it is considering a move to take back the vehicle test site it provided to GM Korea Co. as it claims the carmaker violated a bilateral agreement. In GM Korea's shareholders meeting held last week, General Motors Co., the largest shareholder in the carmaker with a stake of 77 percent, approved its plan to spin off GM Korea's engineering and research divisions into a separate R&D corporation. The test site will be part of the new R&D company. 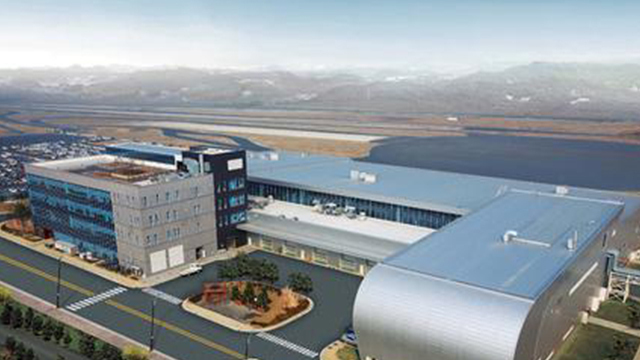 "The Incheon government allowed GM Korea to use the 474,000-square-meter site for free for 50 years beginning in 2005 as the carmaker pledged to contribute to the local economy by creating jobs. Back then, the agreements banned the proving ground from being transferred to a third party," an Incheon government official said by phone. Incheon City Mayor Park Nam-choon wrote on Facebook that the city government provided the site for the Cheongna Proving Ground as it believed the carmaker would boost the automotive industry and generate jobs for local people. "But we will seek to reconsider the pact if GM Korea's union and the local community do not accept the company's R&D separation plan," he said. GM Korea's union objects to the R&D company plan as it sees the move as the carmaker's long-term effort to scale down its production facilities in Asia's fourth-largest economy while only keeping a research center here. The KDB, the second-biggest shareholder in GM Korea with a 17 percent stake, did not take part in the shareholders meeting due to the union's obstruction. In May, GM and the KDB signed an agreement to permit a combined 7.7 trillion-won ($6.7 billion) lifeline -- 6.9 trillion won from GM and 810 billion won from the KDB -- to keep the money-losing Korean unit afloat. In the same month, the Detroit carmaker shut down one of its four car assembly plants in Korea due to a low utilization rate of 20 percent. GM Korea has suffered weakening sales. Its sales fell 15 percent to 341,349 vehicles in the January-September period from 401,980 a year earlier.